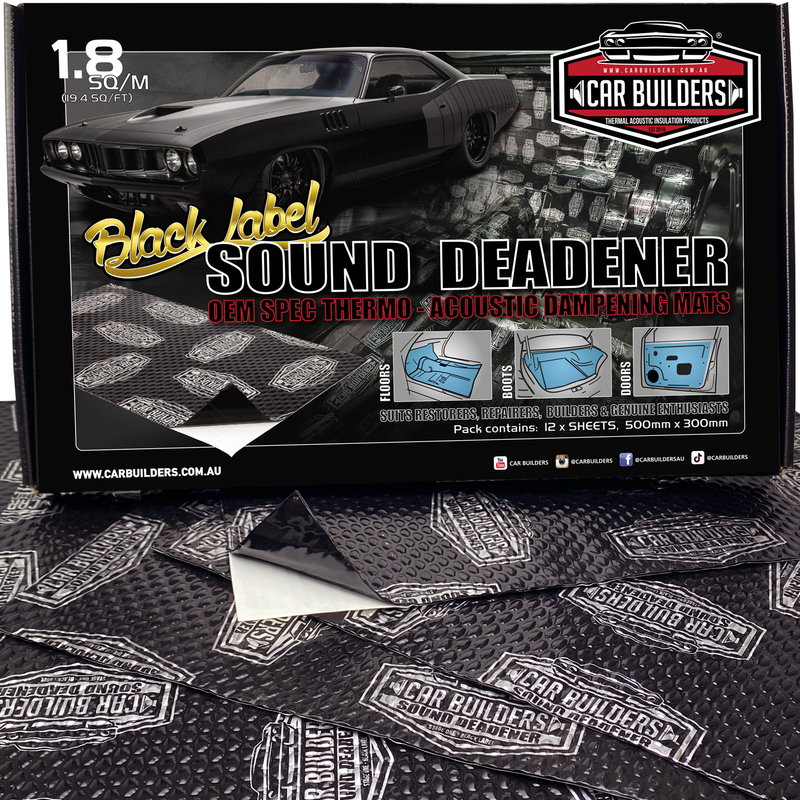 Car Builders Sound Deadener is a vibration (sound) dampening mat. 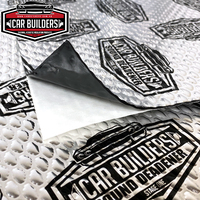 The material consists of an anti-drum noise absorption layer, combined with an aluminium top layer forming a heat and acoustic barrier. 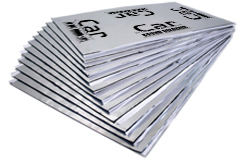 Its pressure sensitive self-adhesive back conforms and fuses easily to sheet metal and other hard substrates. 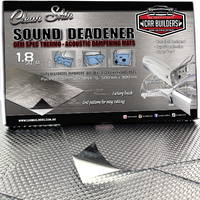 It has excellent performance for acoustic dampening under varying temperature ranges and is highly resistant to aging. 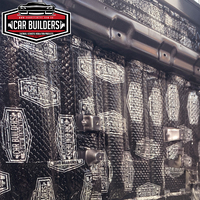 Butyl Mat is today’s lightweight alternative to traditional bitumen body dampening. 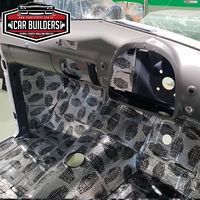 Our Sound Deadener is best suited to restorers, repairers, vehicle builders and audio enthusiasts, who demand acoustic and heat insulation as bench marked by leading automotive manufacturers. 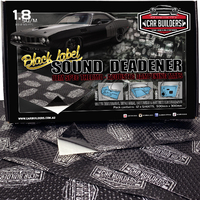 Black Butyl based core with 4 mil silvery aluminium reinforced layer backed with white wax paper release liner. Product should be stored at room temperature for best application and should be stored horizontally in its package. 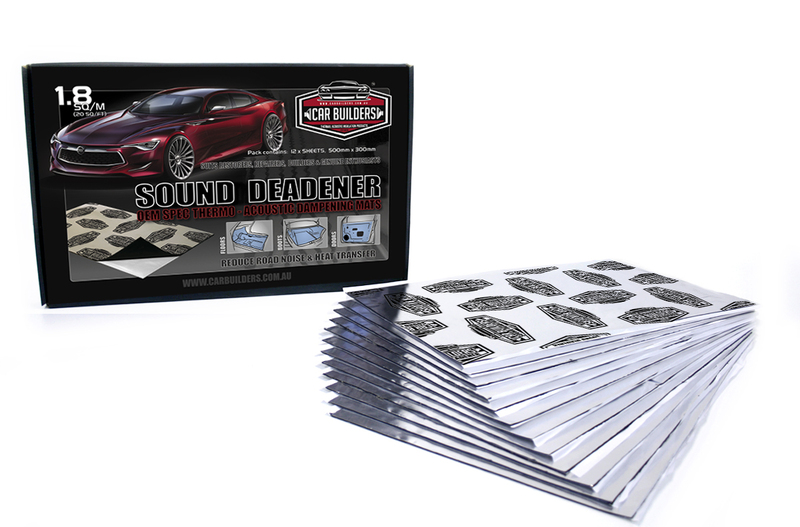 I recently used Sound Deadener stage 1, Insu -layer 3mm and Mass Noise Liner to reduce cabin noise in my son's Mitsubishi Challenger PB series. 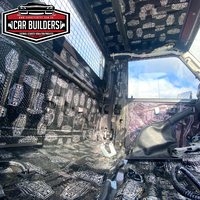 From start to finish I found the Car Builders web site and videos excellent for prompting me to have a go at the DIY job. The comprehensive videos giving first hand experience and knowledge by Brendan are some of the best instructional videos on any DIY product that I have seen. Brendan's instructional videos, and his advice re proper preparation is certainly the key to a good result and a little extra time taken to get the job ready for the Stage 1 Sound Deadener certainly paid dividends. 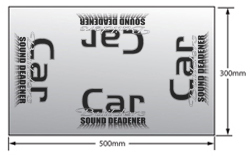 I used Stage 1 Sound Deadener for my van. Even as a first-timer, the product was very easy to apply to roof, walls and floor using the application roller. Easy to use, just peel and stick. Some cutting around irregularly shaped areas, but it was not difficult. It is fairly heavy, and I estimate probably close to 100 kg increase in weight for a Mercedes Sprinter. The difference is beyond comparison, from a rattly booming van, to a quiet ride in which I can hear the stereo without turning it up to kill. 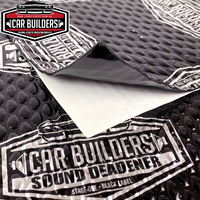 Brendan from CarBuilders was most helpful, and I would recommend dealing with him. 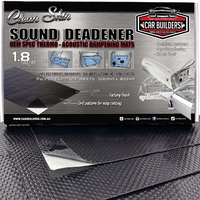 Great stuff to use....even in the depths of Melbourne's cold winter......STICKY......EASY TO CUT/PLACE.....STRETCHES DOWN TO THE BOTTOM OF ALL THOSE SWAGES AND DRAIN HOLES. You don't need to stick it EVERYWHERE!!!! like u see on the Internet.......just tap on the surface to see if it drums......if so, then go ahead. Just make sure the surface is clean before u start.....Prepsol or metho make for great surface preparation. 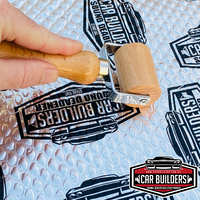 Buy and use the roller to save yourself some grief, the urethane roller is MUCH BETTER than a hardware store version. Use the back of the handle to squish into corners and grooves. Disclaimer. I'm a friend of Brendan's but I chose the product because of its quality. Top Stuff, Best Deadener available in my opinion! Easy to use! 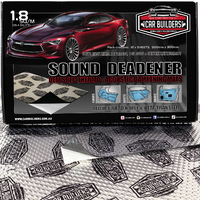 I used the sound deadener in the boot well,doors and rear quarter panels of my new Toyota 86 to reduce road noise and was pleasantly surprised by how effective it was. It was easy to cut to shape and install with minimal mess. 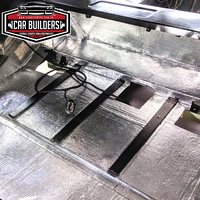 I then added the 6mm acoustic foam to the rear of the trim items to further enhance the sound deadening qualities. Great product. Simple to install, and shapes to where ever you want to put it. Looks good too.